Where else can you sleep at a world heritage site? All Saint's Church and its door, onto which Luther nailed his 95 theses, is right next to the Youth Hostel. Far from noise and also centrally located, our hostel offers an ideal starting point for your activities. 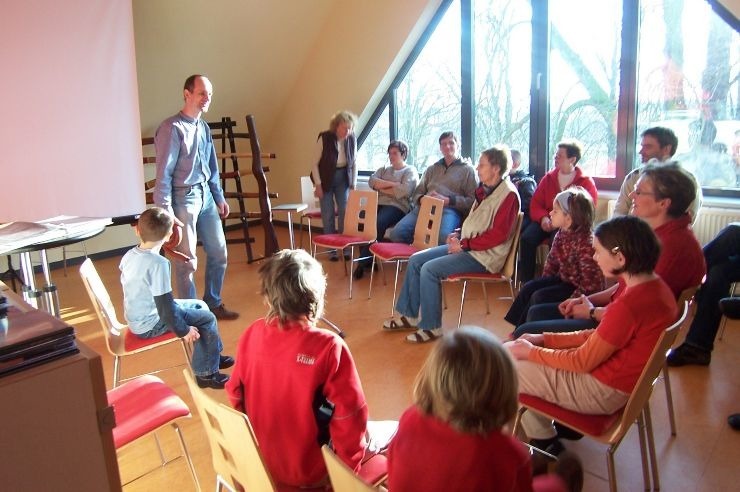 You can reach all various historic sites and interesting buildings in Wittenberg easily. 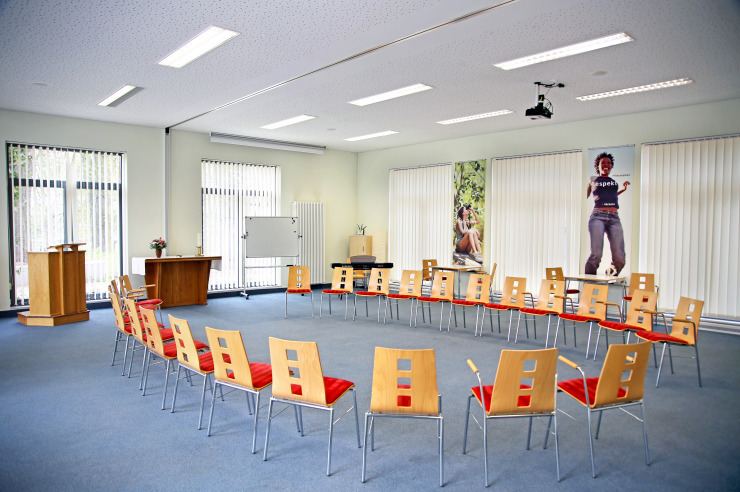 Because of our 7 conference rooms and habitable rooms, as well as our shared rooms (2-6 beds) with en suite bathrooms, our house is particularly suitable for school classes, seminar groups and families. Five rooms are suitable for wheelchair users. The elevator allow a pleasant stay for guests with limited mobility. Martin Luther and the dawn of the Protestant Reformation are very close connected with the city of Wittenberg. Various Luther and Melanchthon memorial sites in the city were added to the UNESCO world heritage list. 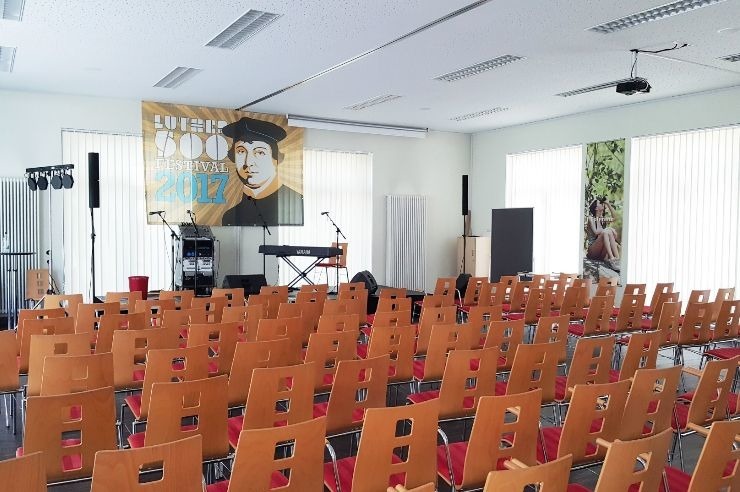 In 2017 500 years of reformation are celebrated all over Germany, for this reason many interesting exhibitions and events take place in Witenberg. Wittenberg is also a great starting point for outings to the Dessau-Wörlitz Garden Kingdom and the Middle Elbe biosphere reserve - both are protected by UNESCO, too. Our hostel is quietly situated, next to the castle and the castle church. The historic downtown with its many attractions is located at the back of the house. Wittenberg became world-famous as the place where reformation began. Documents telling of centuries of history are kept at the Lutherhaus today. The Cranach-Höfe, Melanchtonhaus and Hundertwasser school are other sites you shouldn't miss. Garden Kingdom Dessau Wörlitz and Dübener heath are nearby destinations worth visiting. 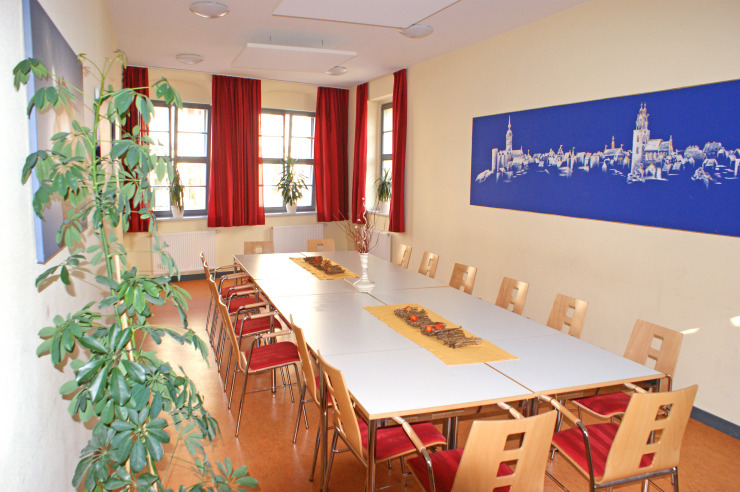 As a guest at the Youth Hostel, you will sleep in the old city centre, in the rooms of Frederick of Saxony's former residence. Away from the noise of traffic, but centrally located: This makes our Hostel an ideal starting point for your activities.